More newborn babies suffer from drug withdrawal in counties where there are shortages of mental health care providers, higher rates of long-term unemployment and higher proportions of manufacturing jobs, according to new research published in JAMA. 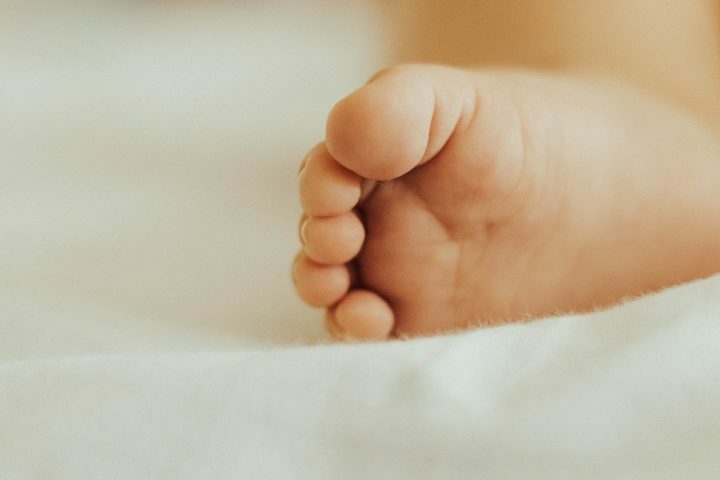 The study looks at rates of neonatal abstinence syndrome (NAS) — a form of withdrawal that newborns can experience if their mothers used drugs, including opioids, throughout pregnancy. As opioid use has increased in the United States, the number of infants born with NAS has increased, too. The authors write that the number of infants born with NAS in the U.S. jumped from 1.2 hospital births per 1,000 in the year 2000 to 8.0 per 1,000 in 2014. With this study, researchers were interested in determining the specific characteristics of counties that have particularly high rates of NAS. “A better understanding of the association among community characteristics such as health care infrastructure and macroeconomic conditions and NAS is needed to inform community-level interventions aimed at improving opioid-related outcomes for these vulnerable populations,” the authors write. The researchers looked at 6,302,497 births occurring between 2009 and 2015 across 580 counties, both urban and rural, located in eight states — New York, Massachusetts, Kentucky, Tennessee, North Carolina, Washington, Florida and Michigan. They examined the associations between county-level NAS rates and the following factors: primary care and mental health care shortages and long-term unemployment rates. Counties with high 10-year unemployment rates also had high rates of NAS. Across the sample, unemployment rates ranged from 4.1 percent to 15.8 percent in 2015. In the highest unemployment quartile, rates of NAS were 20.1 per 1,000 hospital births, whereas in the lowest unemployment quartile, NAS rates were 7.8 per 1,000 births. Counties with high unemployment and NAS rates tended to be rural, and were concentrated in the following regions: rural Appalachia (parts of the states of Kentucky, New York, North Carolina and Tennessee), southeastern Massachusetts, northern Michigan and southwestern Washington. Considering the overlap between unemployment rates and the number of babies experiencing withdrawal at birth, the authors suggest that both prior and current economic hardship might contribute to NAS rates. Rural counties with a higher proportion of manufacturing jobs also had higher rates of NAS. The authors suggest that the risks of injury, disability and chronic pain associated with manufacturing industries — which in turn can lead to opioid use — might explain this association. There was no link between NAS rates and primary health care provider shortages. However, metropolitan counties experiencing mental health care provider shortages saw higher rates of NAS. In mental health care shortage areas, for every 1,000 hospital births, an average of 14.0 infants were born with NAS, compared with 10.6 per 1,000 births in areas where there were no shortages. Adults with mental health conditions are already three times as likely to use opioid painkillers as compared to their peers without mental health disorders, the authors write, adding that “untreated and undertreated mental health disorders increase the risk of opioid misuse and abuse.” Mental health care provider shortages are widespread – between 2009 and 2015, the proportion of counties in the sample that were designated as mental health professional shortage areas jumped from 79.5 percent to 88.2 percent. “While the opioid crisis has gotten a lot of attention by the press, pregnant women and infants are often left out of the conversation,” Patrick said. He suggested journalists increase their coverage of the link among economic hardship, the opioid epidemic and maternal-child health. He also suggested an increased focus on rural communities, which have been hit hardest by these interrelated issues. On the policy side, Patrick suggested that economic revitalization programs similar to the Depression-era Works Progress Administration might help to address the long-term economic downturn at the root of the opioid epidemic. “To really solve the opioid crisis, you need to think beyond the hospital walls,” Patrick said. Looking for more resources? We have a tip sheet on reporting on fentanyl and synthetic opioids and a research roundup on the role safe injection sites might play in the opioid epidemic. We also have summaries of research on rural Americans’ views about economic issues and the opioid epidemic, geographic opioid prescribing trends and racial trends associated with prescription opioid use. Citation: Patrick, Stephen W.; et al. "Association Among County-Level Economic Factors, Clinician Supply, Metropolitan or Rural Location, and Neonatal Abstinence Syndrome," JAMA, January 2019. DOI: 10.1001/jama.2018.20851.